Paul Castanza and Tom Parisi are two cousins who (thanks to Facebook) became reacquainted after many years. 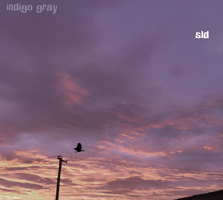 They are also SLD (short for Sounds Like Digging) and their debut LP entitled Indigo Gray features the kind of catchy melodies and radio friendly production that would have made for hit records not that long ago. “Every Day” and “Jenna” are instant hits with this listener as they channel Rubber Soul / Revolver era Beatles. The former is a song about Paul’s daily train commute while the latter was written while trying to play a Rascals song. With “Can You Feel It”, Parisi creates a laid back, feel good California vibe while “Long, Long Gone” pushes a very catchy chorus to the very front of the song. Said chorus and a very catchy melody make for a very radio-friendly track. Paul’s encounter with an old friend brought back memories of a sordid tale, providing the lyrics for “Stephanie Told Me”, one of my favorite tracks on Indigo Gray and one that you’ll want to hear again and again. Starting out as a Motown influenced track but ending up closer to Squeeze, “So Glad” is another winner with it’s infectious melody and vocals that remind me just a bit of Glenn Tillbrook. An ELO inspired instrumental from Stephen Lawrenson proved to be the genesis of “Trapped”, another highlight on Indigo Gray. Misters Constanza and Parisi have crafted some real gems within the 13 tracks of Indigo Gray. In fact, every song is a winner. For fans of Squeeze, ELO, or just plain catchy pop songs and one of this year’s best so far. Get your copy at the SLD Bandcamp page or Kool Kat Musik.